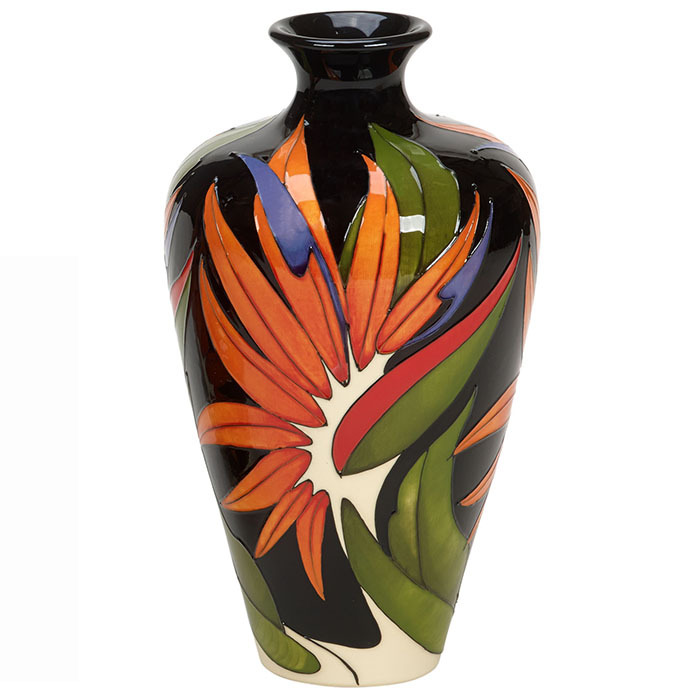 Vicky joined Moorcroft in 1999 as a painter, and for many years both consistently and successfully entered pieces in the annual Open Weekend staff auction which takes place at the Moorcroft Heritage Visitor Centre each year. 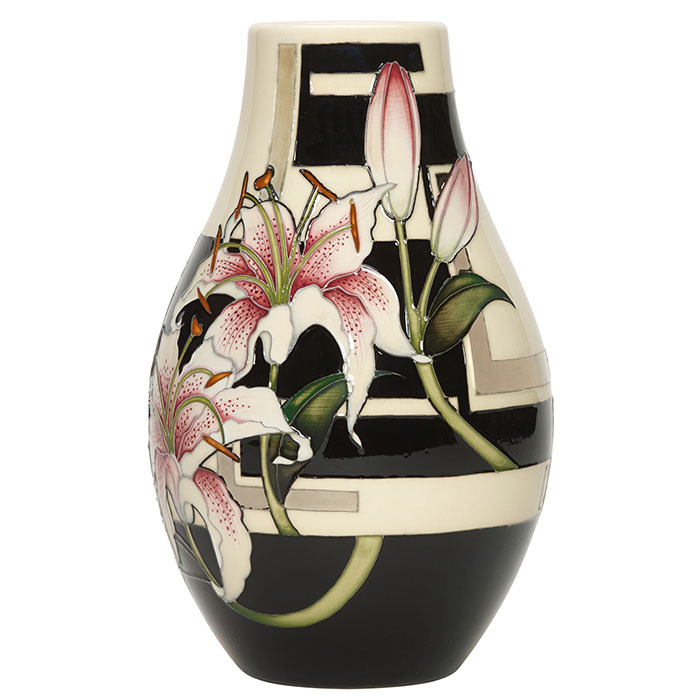 Her considerable success did not pass unnoticed and she became a Moorcroft designer. 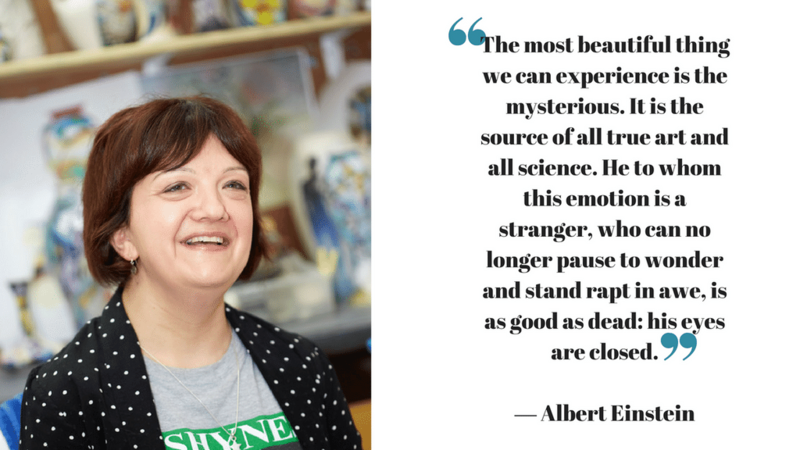 It soon became apparent that astronomy, planets and the universe were her forte in art, as too where her bird and animal creations, and many designs have emerged from her portfolio depicting these subject matters ever since. One of Vicky’s career highlights was designing nine different giant floral ceramic globes, a first for Moorcroft, for a medal winning RHS Chelsea Flower Show garden, each capturing the flowers planted within the garden itself. Many of her designs are floral, though often of an exotic and unusual nature, though Vicky’s range Forever England, a touching tribute to the centenary of World War I, depicting golden fields framed by quintessentially English scarlet red poppies remains popular. Vicky’s love of exotic subject matter and a bright and bold colour palette lead to the arrival of The Costa Rica Collection. Here you may find your imagination recalling the distant sound of tropical birdsong, the gargling of amphibians or even the delicate flutter of insect wings.